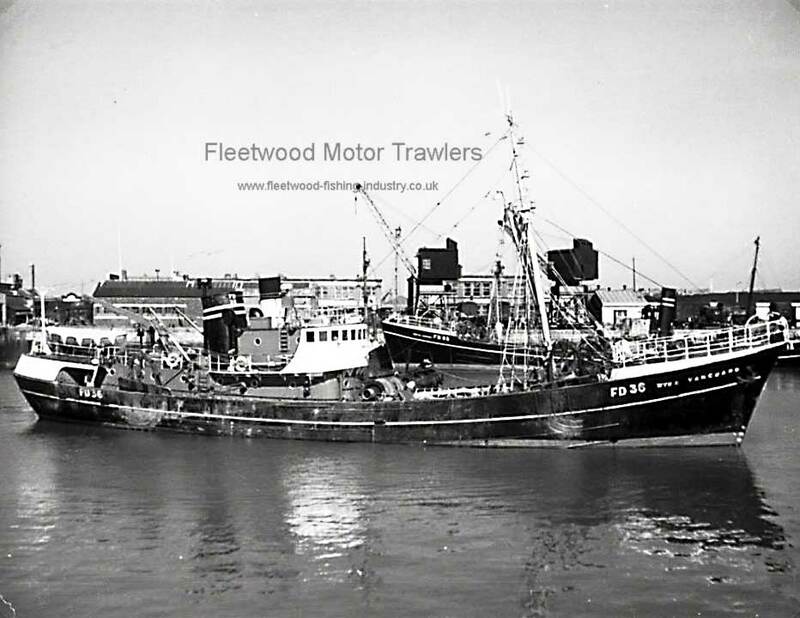 15.12.1955: Registered at Fleetwood (FD36). 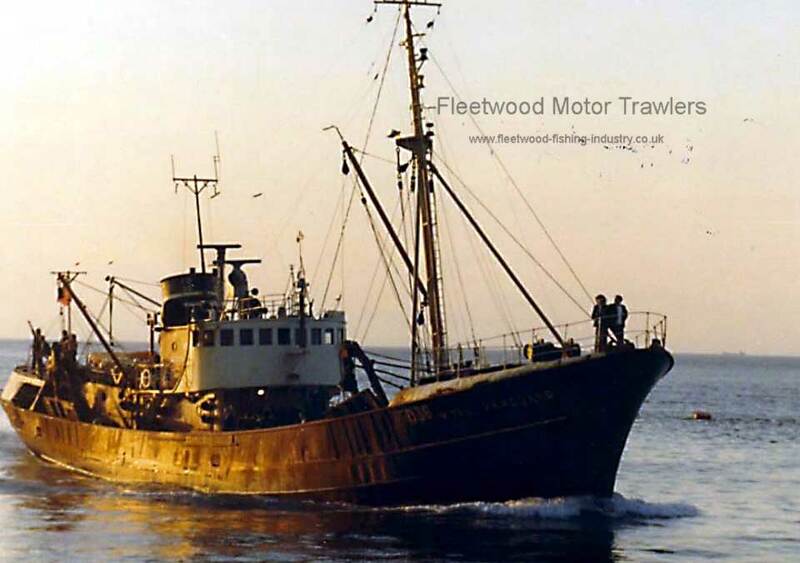 01.07.1969: Became part of British United Trawlers fleet. 10.1973: On a trip to Faroes (Sk. 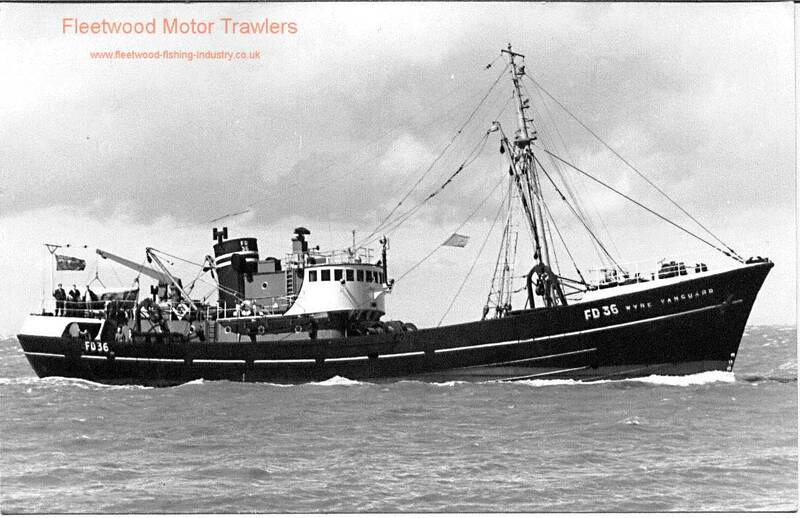 Roy Belcher) reported to owners that a stowaway, identified as Adam Davis of Northendon, had been discovered. 18.05.1978: Transferred to British United Trawlers (Aberdeen) Ltd Aberdeen (FD36). 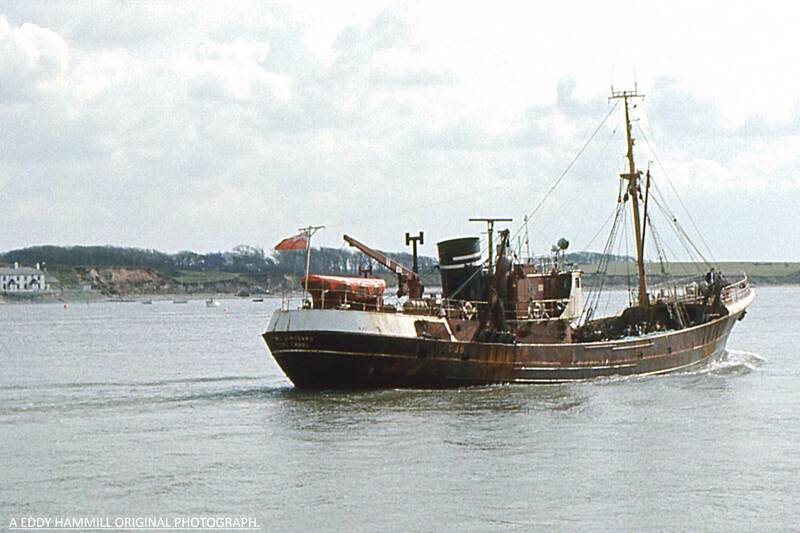 1979: Laid up in Royal Albert Dock, East London. 1980: Sold to Court Bros, London. Sold to R.J. Downes, Southend-on-Sea for breaking up. 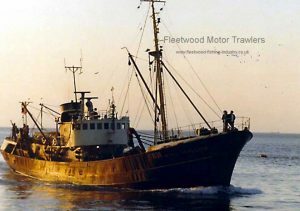 04.1980: Commenced breaking at Southend. 25/09/2016: Page re-published due to site problems. 30/08/2017: Removed FMHT watermark and added an image. 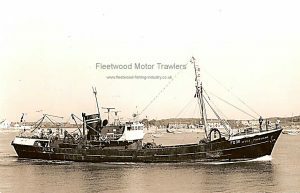 This entry was posted in Motor Trawler, Wyre Trawlers on 25th September 2016 by Howard Small.